A four-day tour of the north by Prime Minister Ranil Wickremesinghe to expedite development projects there also saw some wit and repartee. He was at the District Secretariat, chairing a review meeting on various development projects. Many were the complaints he heard. One of the participants complained that the Wildlife Conservation Department was periodically issuing Gazette notifications, “arbitrarily” declaring both state land and civilian-owned lands as sanctuaries. This was particularly around the Chundikulam bird sanctuary and the department was doing so using a Google map, the Premier was told. “This is not the Kuweni (a queen of ancient Lanka) era. The people’s needs have to be attended to without subjecting them to bureaucratic hurdles,” the Premier declared. As a result, the matter has now come under review. As one subject after another came up for discussion, Education State Minister Vijayakala Maheswaran, known for her controversial remarks, declared that politicians visiting the north should give up hopping from place to place in helicopters. If they wanted to see areas where development was scarce, roads were bad and culverts were damaged, they should travel by road. “That is why we have a State Minister from the North,” the Prime Minister quipped. As the visit got under way, there were some distractions, too. One was a news conference held by the fiery Ananthi Sashitharan, a former member of the Northern Provincial Council and now attached to the Samurdhi Unit of the Kilinochchi District Secretariat. She heaped strong criticism on the Tamil National Alliance (TNA) and charged there was “genocide” of the Tamil people. She is the wife of Velayutha Sashitharan alias Elilan, a senior LTTE cadre who is “missing”. She contested on the TNA ticket and won the second highest number of votes after Chief Minister C.V. Wigneswaran at the Northern PC polls. A senior minister asked a leading private sector entrepreneur whether he would like to head a state organisation, one dealing with foreign money. He said he would respond soonest. Then he sent an unprintable SMS message to the Minister. It began with an f-word. Ian Paisely Jr., the British MP, who was suspended from the House of Commons for 30 days for failing to disclose two all-expenses-paid holidays in Sri Lanka, is in the news again. This time, he is to face the Parliamentary Standards Commission over a similar holiday he had enjoyed from the controversial then government of Abdulla Yameen of the Maldives. It began after he and two other British MPs visited the Maldives on a fact-finding tour that included inspection of conditions under which onetime President Ahmed Nasheed was held in prison. He reported back on his return to London that the then President had been detained under luxury conditions. Mr Paisely is a member of the Democratic Unionist Party (DUP), which supports Prime Minister Theresa May’s shaky conservative government. Earlier, Mr Paisely denied he and his family members received two different paid holidays from Sri Lanka. There were no official engagements during the visit arranged by then then Monitoring MP for the Foreign Ministry, Sajin de Vass Gunawardena. “Mr Paisley said he paid for part of the holiday and the rest was paid for by a friend. “The North Antrim MP did not reveal the identity of this friend. He said the friend was unconnected with his work and has received no benefit as a result of his work. Mr Paisley was recently suspended from the House of Commons for 30 days for ‘serious misconduct’ for failing to declare two family holidays to Sri Lanka in 2013. “DUP Leader Arlene Foster welcomed the fact that Mr Paisley had contacted the standards commissioner. “Ian Paisley, his wife and two sons stayed at the resort in the Maldives for six days in the autumn of 2016. “Months before, Mr Paisley and two other politicians had visited the Maldives. At the time, international organisations including the UN were criticising the country’s government over human rights abuses. Mr Paisley argued against economic sanctions. 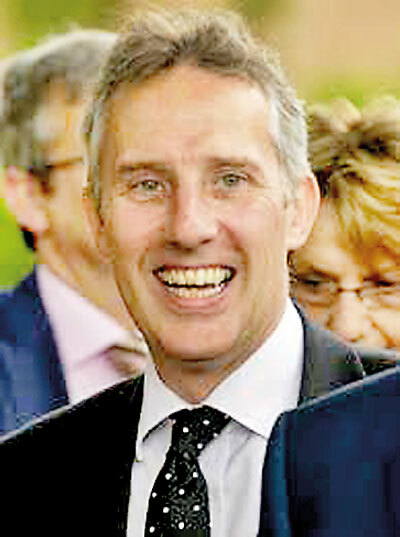 “Ian Paisley, his wife and his two sons received full-board five-night stay at the luxury resort in October and November 2016, eight months after he was part of a controversial parliamentary visit to the islands. “Gavin Millar QC, an expert on parliamentary rules, said the Nolan principles on standards in public life placed an onus on Mr Paisley to be transparent about why he had not registered the trip to the Maldives. “MPs should give reasons for their decisions and restrict information only when the wider public interest clearly demands,” said Mr Millar. “Now his decision in this case, his decision was not to register the benefit, after the trip in late 2016, and he has an obligation to give reasons for that decision. Mr Paisley was contacted by Spotlight about Mr Millar’s comments but has not responded. In a statement to Spotlight on Tuesday, Mr Paisley said: “I have responded in clear and categoric terms to your questions. “With the other two MPs, he also visited the prison where opposition leader Mohamed Nasheed had been held, and described the conditions as quite luxurious. “Later that year Mr Paisley travelled to the Maldives again for a holiday with his wife and two children. “Spotlight’s evidence, including an image which appears to be from the resort’s internal records provided to the programme by an anonymous source, suggests that full board and transfers were provided complimentarily at the request of Mr Yameen’s government and facilitated by the resort owner, Hussain Hilmy. Gavin Millar QC said that if, as Spotlight’s documentary evidence suggests, the benefit was requested by the government and facilitated by Mr Hilmy, Mr Paisley should not have accepted it. “But having accepted it, he certainly should have registered it undoubtedly. Ian Paisley has denied that the trip was connected with the government of the Maldives. Last week, Ian Paisley told Spotlight that he had discussed the holiday in the Maldives with the Parliamentary Commissioner for Standards Kathryn Stone during her investigation into his Sri Lanka holidays. Mr Paisley claimed that as a consequence of that conversation, he had satisfied himself he did not need to register the holiday. Senior United Nations officials in Colombo have raised issue with President Maithripala Sirisena over an incident in Jaffna late last year. They had complained earlier that two persons, who claimed they were from the Army, had entered the residence of a UN official in the Jaffna District. One had pointed a pistol and alleged that they were conducting an investigation against the official concerned. They are also alleged to have threatened the official. The incident had reportedly taken place on November 27 last year. The Army in the north had denied that any of its personnel was involved in the incident. They have told the President, under whom the Police Department came, that no action has so far been taken on the issue. When Sri Lanka’s United Nations Mission celebrated the country’s 71st Independence Day in New Jersey last week, one of the political highlights was a message–a first for Sri Lanka– from New Jersey Governor Phil Murphy. 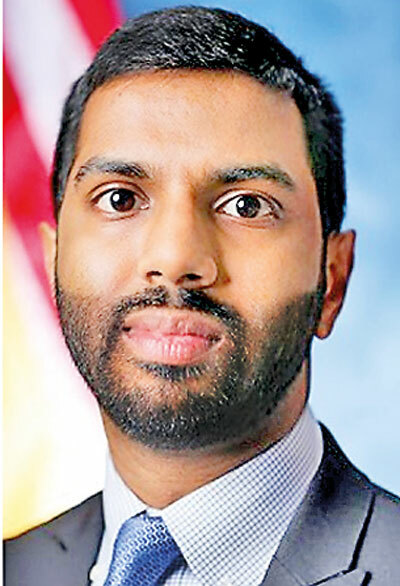 But the Governor, who extended his apologies for his absence from the event, was represented by a youthful-looking, 32-year-old American of Sri Lankan origin — Mahen Gunaratna — who holds a key position as Murphy’s Communications Director — another first for Sri Lanka. In a statement, read out by Mr. Gunaratna, Mr. Murphy said, “The State of New Jersey takes great pride in the fact that it is home to one of the largest Sri Lankan populations in the country, enhancing the Jersey experience through its many brilliant contributions to our social and economic fabric. Mr. Gunaratna is a former Deputy Communications Director to New York City Mayor Bill de Blasio and, prior to that, worked as the Mayor’s Research Director and as an aide to his mayoral campaign. A product of the prestigious Georgetown University in Washington DC, Mr. Gunaratna has superlative credentials and may have been the first Sri Lankan-American to work at the White House — if Hillary Clinton had won the last presidential election. In 2016, he served as Florida Communications Director for Hillary Clinton’s presidential campaign and as Florida Press Secretary and Connecticut Press Secretary during the primary. In 2012, he worked as New Mexico and Arizona Communications Director for “Obama for America”, serving as the President’s regional spokesman for the Southwest. He is also a former Communications Director to Congresswoman Frederica Wilson (Democrat-Florida) and Press Secretary to Congressman Kendrick Meek (D-FL). In 2010, he served as Research Director to Congressman Meek’s campaign for the US Senate. Mr. Gunaratna is the son of Shiranee and Mithila Gunaratna, a hard-core Royalist, and well-known among his generation at Royal College. Meanwhile, the event itself, which drew more than 800 Sri Lankan expatriates, was also attended by Thomas Lankey, Mayor of Edison, and Congressman Frank Pallone of New Jersey who was instrumental in establishing the first Congressional Caucus on Sri Lanka in October 1998, and served as Co-chair for 10 consecutive years.